• The key to preserving your garments is by keeping them as clean as possible. Soiled clothes with food or perspiration stains usually have a tendency to attract moths and insects. • Choosing the right place to dry clean your clothes is the key to ensure that your expensive garments remain in pristine condition for a long time. For Indian clothes with intricate embellishments, make sure that the pieces are dry-cleaned by a special technique where the ornamentation is covered with net. • Remember to always read the instruction on the care label before washing any of your garments. Most pieces come with specific instructions on using the right washer setting, detergent or washing them inside out to preserve their life span. • Separation of colours while washing garments is a must. As many of the custom made outfits have delicate embroidery, hand detailing and textures on the pieces, the best way to ensure that they are not ruined is to dry clean them. • Steam ironing outfits is the ideal way to avoid iron marks, lines and creases especially on delicate fabrics like silk jersey. There are various options available for home-use steam irons which are very simple to manoeuvre and not particularly time consuming. • Remember to always use a chemical desiccant to absorb moisture and prevent dew before storing your clothes. • Woollen garments, cashmere or silk knits must be dry cleaned first and then stored in transparent air tight plastic containers or bags. • Storing your embroidered clothing in white malmal fabric ensures that the embroidery does not get tarnished or blacken over time. You could opt for plastic or fabric covers—the end-point for both is to keep dust, moisture and insects away. • Leather and suede should be stored in a closet which is cool and well ventilated and should be stored in muslin or malmal fabric. • Linen garments should be rolled first and stored to avoid permanent creases. • Knitted and silk jersey fabrics should be stored flat as they tend to hang and lose shape if they are hung on a hanger. • Metallic fabrics, which have been a big trend since the past few seasons, should be covered in soft butter or tissue paper. • Fur garments need to be stored in a cool place and covered in white Muslin or malmal fabric. • Folding your heavy Indian outfits such as lehengas and saris is a better way to store them over hanging them. 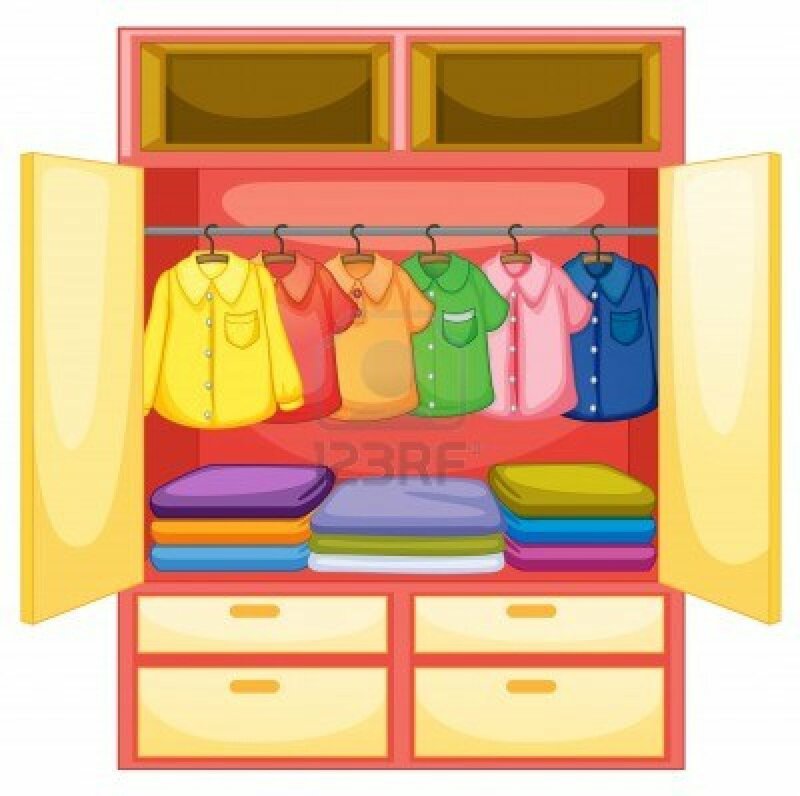 • Areas where the garments are stored should be dark and cool as light tends to fade colours and attract insects. The place of storage, the way it is stored and the treatment such as dry clean or wash done to the garment before it is stored are the three factors that need to be considered to preserve the garment. • Sometimes clothes have embroidery or tassels which may pull on the fabric, causing some threads to fray. The key is to cover the embellished part with plastic or butter paper while storing the garment and removing it only once you have worn the garment. Trimming the pulled thread and ironing the garment with a steam iron over the area where this has occurred will help to minimise the damage. • The use of lime over a fresh food stain works like magic and removes the stain completely. Stain pens or markers are other ways to remove food stains immediately. • Moths are often drawn to the smell of perfume. A good way to keep them away is to ensure that your fragrance does not get into your clothing when your store it in your cupboard. • Adding moth balls, cedar blocks or sachets with lavender or rosemary in the storage area while storing your garments is also an effective way to avoid moths.